On August 4, Haaretz reported that Benjamin Netanyahu called Rahm Emanuel and David Axelrod self-hating Jews. A spokesman for the prime minister later denied this, but I have heard from Israeli friends that this conspiratorial explanation is quite popular in the prime minister’s office. I have no reason to believe otherwise. The accusation of ethnic infidelity is an old feature of the political culture of the Likud. The defenders of Greater Israel have values, but the critics of Greater Israel have motives. Perhaps the nether regions of the Israeli right will soon follow the nether regions of the American right, and alongside the birthers we will have the brissers: I mean, any man who opposes Jewish settlement in the West Bank must have a foreskin. 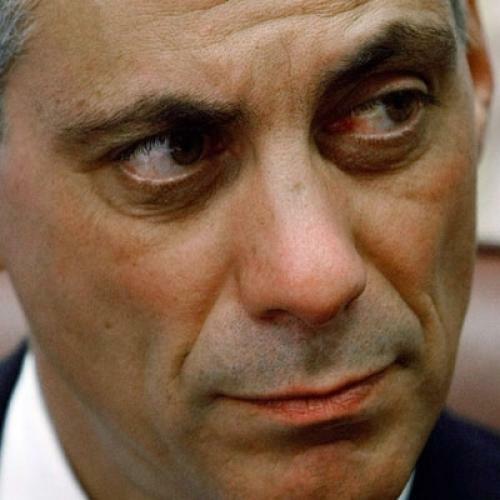 It is important to understand that for the paranoid mentality that regards disagreement as betrayal, all of Emanuel’s Israeliness--his name, his Irgun father, his Hebrew, his service in an Israeli army program for civilians during the Gulf War--makes him more, not less, untrustworthy. There is a long and dark history, after all, of apostates and informers who came from within the community. Sometimes their defection was a matter of principle, a conversion, which was complicating, since a change of mind, when it is has intellectual integrity, has to be respected even when it has to be despised; but usually it was understood as a craven act of ingratiation, a hunger for power. When I was a student I believed this about Henry Kissinger, and stood with other students in Dag Hammarskjold Plaza to denounce him as a moser for his shuttle diplomacy. (I admit it. I am a recovering Jewish fascist.) Jewish self-hatred is another term for Jewish anti-Semitism, for the internalization of the standpoint of the enemy; and this is a genuinely grave charge. Jews who fling it about for political ends are desperate and disgraceful. And they are some of the same people who are outraged when right-wing African Americans are smeared as Uncle Toms. So I wish to attest--I have placed my hand on my copy of The Zionist Idea--that Rahm Emanuel is not a self-hating Jew. I know this. I have never met David Axelrod, but I am aware of no grounds for the suspicion that he has committed “race treason.” (I take that charming phrase, which sounds like it was translated from Treitschke, from David Mamet’s thuggish book The Wicked Son: Anti-Semitism, Self-Hatred, and the Jews. Mamet is another one of the Most Jewish Jews of All.) Differing with Benjamin Netanyahu does not yet make you a bad Jew. If Emanuel is a self-hating Jew because he believes that Israeli settlement in the West Bank should finally cease, then I, too, am a self-hating Jew. Perhaps you will agree, friends, that this is not very plausible. There is no reason for Israel not to stop the settlements, unless it intends to keep the territories. My own opinion is that this is Netanyahu’s intention, his Bar-Ilan oration notwithstanding. No, he does not plan to annex them. That would throw Israel’s relations with America into serious crisis. Netanyahu makes peace with Americans, not with Palestinians. His sudden conversion to the idea of a two-state solution is a peace process with the Americans, and nothing more. As I say, conversions must be respected, when they are real; but I see no evidence in Netanyahu of Begin-like or Rabin-like greatness. Politics will always keep him from history. His diplomatic strategy is to postpone diplomacy or to bog it down. He will prevaricate--proposing freezes, denying freezes--on behalf of the status quo, in which the time is never right for the recognition that the Jewish state may be destroyed not by a Palestinian state but by the failure to allow one to come into being. There is nothing visionary about this. A look at the fertility rates on the west side of the Jordan River tells the tale. The continued appeasement of the settlers, and the continued alienation of the Palestinians, and the continued cartographic distortion of the West Bank, are in no way good for Israel. It is cynical and short-sighted to suggest otherwise. So the administration's policy toward Israel is the correct one? Alas, not. It is, in fact, inexplicably obtuse. For the settlements are not what now stand between the peoples and peace. And the continued alienation of the Israelis is also not such a smart idea. Are their fears less real? They may be forgiven for concluding that Barack Obama thinks so. In the matter of empathy for the Israelis, the speech man is peculiarly speechless. Even if the two-state solution is the only solution, it fills Israelis with disquiet, and not only because they have grown accustomed to their Judea and their Samaria. The demographics of Palestine may lead to one conclusion, but the politics of Palestine may lead to another. It is characterized chiefly by chaos and hatred and violence. Economic progress on the West Bank has not been accompanied by political progress; and the quiet along the Gazan border indicates not so much that Hamas has experienced a change of heart as that the Israelis have achieved the objective of their nasty war. So Israelis cannot help but look upon the Palestinian situation with dread. A dove, too, should be able to grasp this. But Obama so far refuses to do so. A visit to Buchenwald, even in the company of Elie Wiesel, is not what the Israelis are seeking from him. A policy of tough love must show love as well as toughness. Obama's stringency about “natural growth” in Israeli settlements was more than a tactical error. In its fervor to move things forward it set things back, by undoing previous understandings that were designed to make this diplomacy a little less excruciating. The great irony is that what it set back most of all may have been the Palestinian leadership and its view of what is to be expected of it. Briefly, Obama has restored Abbas to Arafat’s concept of the historical agency of the Palestinians. I do not mean that Abbas is mendacious or corrupt in the Arafat way. I mean that he has now assumed Arafat’s failed posture of righteous passivity, of waiting for the international community, or the United States, to deliver. Obama’s great opening to the Muslim world, a strange blend of realism and multiculturalism, seems so far only to have imbued the Muslim world with the sense that in the cause of reconciliation with Israel it need exert itself no more, because it has at last been understood. I am not one of those Jews who are maddened by American “pressure” on Israel, but I do not take kindly to it when it is accompanied by a bow to the Saudi king.